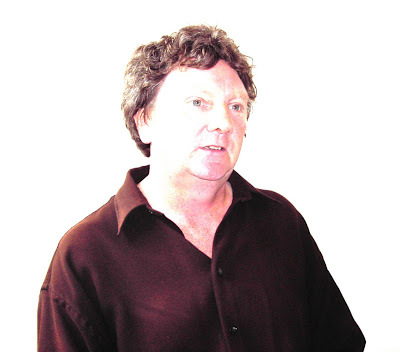 Stephen Clayton is a founder member of the band Tractor, who signed with John Peel’s Dandelion label. They still record and tour. Stephen has also exhibited paintings at The Royal Academy. His debut novel is The Art of Being Dead published by BlueMoose books. I was born in 1950 in Rochdale, Lancashire. At the age of nine my older brother decided that I should learn to drum and join his band. By the time I was eleven I was playing regularly at dances and working men’s clubs. Dropped out of school at seventeen to concentrate on music, writing and painting; anything, in fact, to avoid doing a real job. Signed a five album contract with John Peel’s Dandelion Label and although music then became my main occupation I still, somehow, managed to have a couple of short stories published and a couple of paintings exhibited at the Royal Academy. Over the next few years I continued to drum and to write; opened a music shop and a studio, and married Judith who is still my wife. I now live in Hebden Bridge, West Yorkshire and spend most of my time either writing or in the pub, although the band still records and occasionally plays live. Perhaps I do what I do because I am incapable of doing anything sensible; hard work and satisfying, but not a recommended way to earn a decent living. My ideal night: an Indian meal; copious amounts of wine and stimulating company. What music are you currently listening to in the car? My taste in music has become strangely eclectic. In fact, there was a time when I wasn’t even sure what I liked any more. Now I spend most of my time listening to either Nick Cave or Mozart. See what I mean!? I see that you split your time between Hebden Bridge and France, where about in France is that and how do you spend your time out there? We have a small apartment in the South of France, forty kilometres east of Carcassonne. It’s situated on the edge of an industrial estate, so hardly what you’d call romantic, but I love being there. Good food, cheap wine, and because, unlike my wife, my knowledge of the French language is somewhat limited I’m in no danger of talking too much. Sunshine, wine and peaceful surroundings in which to write, with all outside pressures reduced to a minimum: almost perfect. 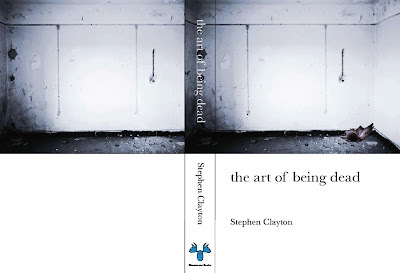 The Art of Being Dead is the third book that you have written, can you tell us about the first two and if you tried to get them published? Before I was fortunate to have The Art of Being Dead accepted for publication I had completed two other novels: A Medicine of Cherries and Falling Bodies. The first was concerned with the French Revolution of 1789, and the second dealt with a possible incestuous relationship between a brother and sister. In truth, I didn’t really try very hard to have either published. Looking back, I know realize that, deep down inside, I knew neither of them were good enough. I now think of them as a necessary exercise in learning how to write; to create character, tension, plot etc. If you really wish to write then I truly believe that nothing you do is ever totally wasted. Sometimes you can learn more from a bad piece of writing (as long as you are capable of acknowledging its shortcomings) than from something that you believe to be perfect. And the Art of Being Dead itself: How did you come up with the title and what at its core is the book about? To begin with The Art of Being Dead seemed, even to me, a strange title, but the more I lived with it the more appropriate it became. The ‘death’ we are talking about here is not an actual death, but a spiritual, emotional and sexual death, as exemplified by the main character Jonathan. Due to various incidents in his childhood and youth, Jonathan attempts to live his life as a spectator, separate and distant from the rest of society. Eventually and, some might say, inevitably, this way of living is challenged, and in a most cruel and brutal way. The book is concerned with Jonathan’s response and how, once a decision to become involved has been taken, the consequences seem to take on a tragic and unstoppable life of their own. As it says on the book jacket: can you become a murderer by doing nothing? How did you get your publishing deal with BlueMoose books? I had met Kevin Duffy socially a few times and was invited to the launch of Bluemoose books a couple of years ago. So, when I had completed The Art of Being Dead I offered him a few pages to read, not in the hope of it being accepted but simply for his comments. He asked to see the rest and his decision to publish and his enthusiasm for the book came as a total surprise. Perhaps it really was just a case of being in the right place at the right time. What has it been like being with a small indie publisher? When Kevin told me he wished to publish The Art of Being Dead he was disarmingly honest. He told me that in his opinion the manuscript would be of interest to other (major) publishers, and that if I wished to go with somebody else he would help me to get a deal. This reminded me of our first contact with John Peel. We had already had offers from other record companies, but we decided, and for very much the same reason that I decided to go with Kevin, to go with John. 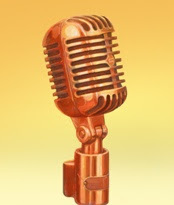 A small indie publisher may not have the money or the clout of the ‘majors’ but they have commitment, passion and a belief in the work that can not be manufactured. My relationship with Kevin and Bluemoose has been total and everything that I could have hoped for; from discussions on the design of the book jacket, to the layout of the book and subsequent dealings with the press and the public. I know that Kevin is working hard on my behalf and for the success of Bluemoose. How many edits did the book go through and how long did it take to write? The book took me two and a half years to write, and I completely rewrote the manuscript at least three times. I took care to edit savagely, even at the cost of removing what I had believed were some of my best sentences. Consequently, when it came to the ‘Bluemoose edit’ very little change was necessary. For part 2 of this interview click here. Stephen's book can be purchased from BlueMoose visit their website here.